East-southeast of historic Governor’s Harbour, along well-known Banks Road, hugging some of the most sensational Atlantic beachfront on Eleuthera Island, you will find Pineapple Fields Resort and Tippy’s Beachfront Bar and Restaurant. 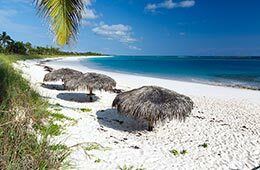 Our Resort sits 100 yards from a spectacular two mile pink powdered crescent shaped beach. With never more than a handful of people on the beach, you will think of it as your very own discovery. This is every beach bum’s paradise. Staying at Pineapple Fields Resort is like staying at the home of good friends in the Bahamas. The perfect cross between a hotel and private home, the resort offers the personal service of a hotel in unpretentious accommodations with everything you would need down to beach chairs and towels. Nestled on five acres of tropical landscaping, each of the 32 one and two-bedroom units features a fully equipped kitchen with granite countertops, a master bath with oversized marble vanity, a spacious bedroom with a king sized bed as well as ceiling fans and air conditioning. Both front and back verandahs have tropical views and come furnished with teak furniture. Rooms feature cable television with stereo, in-room safe, telephone, free high speed internet and stack-washer and dryer. One of the highlights of Pineapple Fields Resort is our central location, close to Governor’s Harbour, a 15 minute drive from Governor’s Harbour airport, and easy to get to by cab or a rental car. 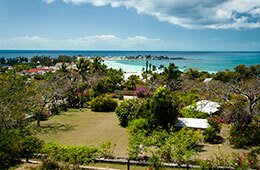 Access to activities on Eleuthera is another feature. Just walking distance from your front door is the 25 acre Leon Levy Native Plant Preserve. There is so much to do and see on Eleuthera including deep sea fishing, snorkeling, scuba diving, island tours, stand up paddle boarding, yoga, surfing, kayaking and shell collecting. Many adventurous guests enjoy renting a car to explore the 100 mile long island and numerous hidden beaches – some within a few miles of the resort! Or just park yourself on the beach, read a book (or not) and listen to the crashing waves of the Atlantic. 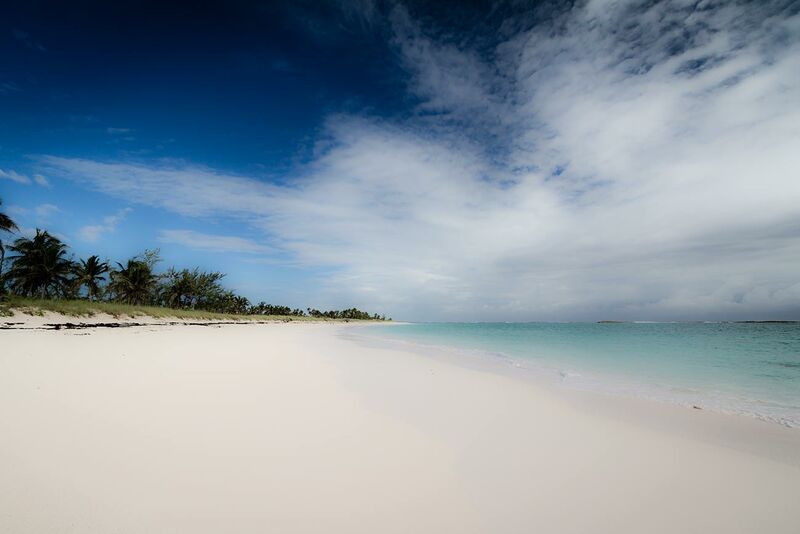 Make your stay on Eleuthera memorable! Come stay with us at Pineapple Fields Resort and explore some of the finest beaches Eleuthera and the Bahamas have to offer. A crescent shaped swathe of sand a mile long -- white and fine as powdered sugar. 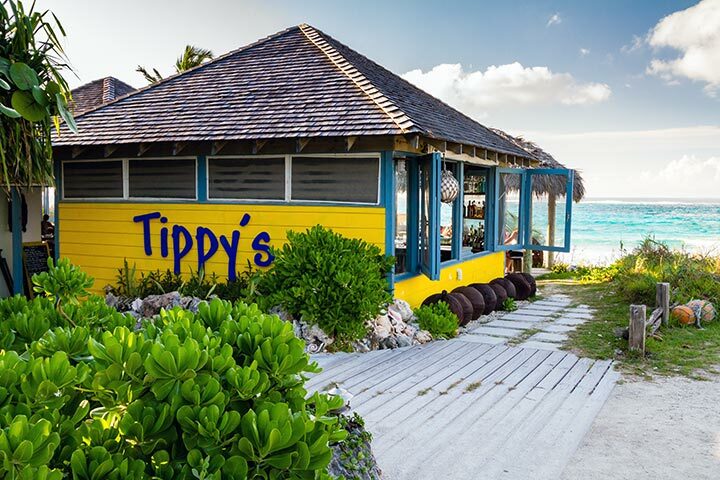 The finer pleasures in life includes dining at Tippy's. World travelers such a Juan Tripp, Jacques Cousteau, Mariah Carey and Lenny Kravitz have all called it home. Set back on 80 acres of manicured wilderness, and across the street from a pink-sand Atlantic beach, Pineapple Fields Resort is the perfect base for a disappearing act. 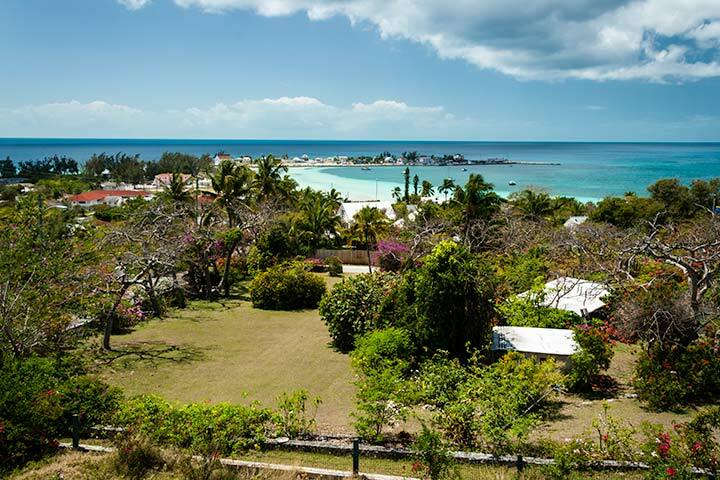 Barlyn and Birkwieser have cut a swath through the Caribbean developing some of the region's most trend setting hotels and restaurants. With Pineapple Fields, they have found a project to call their own. The complex of sun-yellow buildings, set amid a landscaped riot of palms, cascading bougainvillea and gumbo-limbo trees is comfortable yet completely unpretentious.